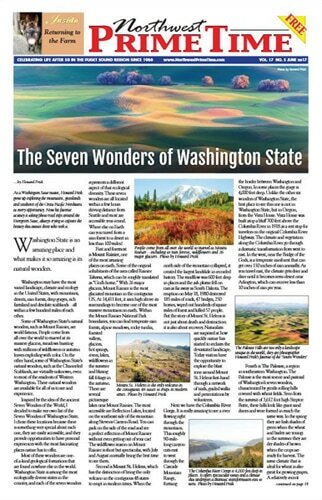 The Editor of the local newspaper Northwest Prime Time contacted Howard after seeing his recent book, The Seven Wonders of Washington State, and asked him to write an article about the state's seven wonders. The result was the cover article for their June 2017 issue featuring his photographs. The newspaper is available in all King County Fred Meyer stores as well as local libraries and visitor centers for a limited time. 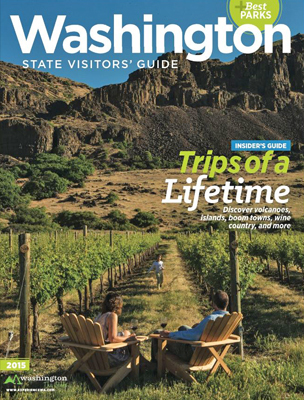 ​The Washington State Visitors Guide is the official publication of the Washington Tourism Alliance. It is the premier publication for anyone travelling around Washington State that wants to experience the best that our state has to offer. The chapter on the San Juan Islands features one of Howard's photographs taken at Friday Harbor. 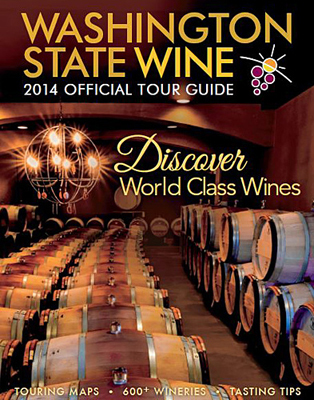 ​This is the official publication of the Washington State Wine Commission. It's mission is to "raise awareness and demand for Washington State Wine through marketing and education while supporting viticulture and enology research to drive industry growth". Howard's photograph of the Martin-Scott Winery near Wenatchee was featured in a two page opening spread of the Cascade Valley & North Central section. 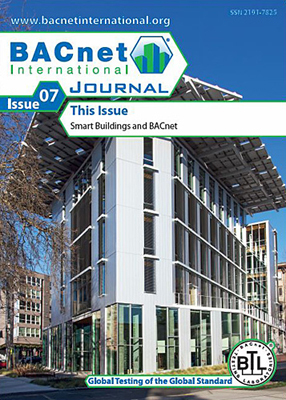 ​Howard's photograph of the Bullitt Center in Seattle was used as the cover shot for a recent issue of the BACnet International Journal. The Bullitt Center is the greenest commercial building in the world, and qualifies for classification as a "living building" by the International Living Future Institute. It has a lifespan of 250 years, is energy and carbon neutral, needs no water from the city and generates no sewage. The entire roof is an array of solar panels and at times the building can generate more energy than it uses. The building has 26 geothermal wells than extend 400 feet deep into the ground where the temperature is a constant 55 degrees. These geothermal wells help heat the building in the winter. 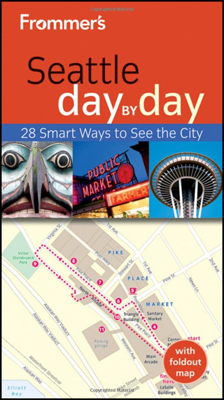 ​For the second time, Frommer's chose photographs taken by Howard to be featured throughout their updated edition of their popular Seattle Day by Day guide. Frommer's is one of the world's largest publishers of regional guidebooks. Howard's photographs were first used in their 2012 edition. ​For the second time one of Howard's photographs was published in the Scenic Washington State guide. 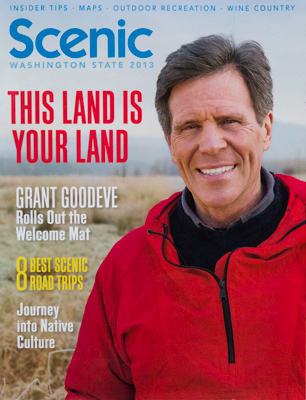 This is published by Destination Media Alliance, which also runs the ScenicWA.com web site, which recently published an article written by Howard, titled The Seven Wonders of Washington State, accompanied by several of Howard's photographs. "I have seen the first draft layout of the book, and it looks amazing. I can't believe you got so many clear, blue-sky days in Seattle. The colors are great, and so were the approaches you took to just about every shoot. Thanks again for all your help so far, and hopefully we'll work together again." This turned out to be true. Many of Howard photographs were used in the updated 2014 edition of Frommer's Seattle Day by Day guidebook. 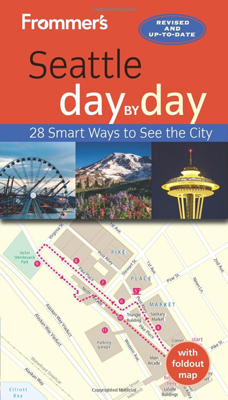 ​The most well respected name in travel guidebooks - Frommer's an imprint of John Wiley & Sons, Inc. - chose Howard Frisk to be the primary photographer for their new Seattle area guidebook, Seattle Day by Day. Frommer's provided a list of over 200 "top priority" locations in the Seattle area that needed to be photographed in 5 weeks. We visited some of the most famous hotels, restaurants, night spots, museums and specialty retail shops in Seattle. Reviewing and selecting photographs for the book was fast and efficient. "GREAT method of delivery. I am extremely gratified!! Thanks!!!!" 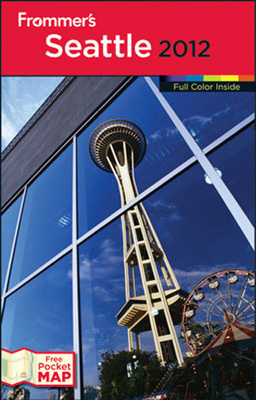 - Richard Fox, Photo Editor, John Wiley & Sons, Inc.
​This is published for the Seattle Convention and Visitors Bureau. 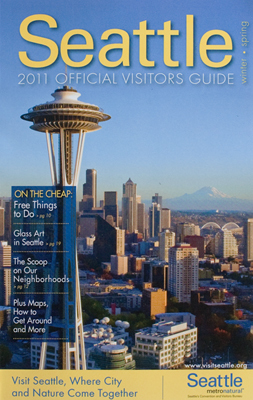 Howard Frisk was chosen as the principal photographer for their 2011 edition of the Seattle Official Visitors Guide. "I've just returned to the office today and I'm browsing quickly through the images you've submitted. They look very nice and I'm particularly pleased with the 'experiential' images of tours such as Tillicum Village, Museum of Flight, EMP and Future of Flight. I'm glad you were able to give us a wide selection of images and many interesting shots with people. (And good weather! I know that's a challenge there.)" 2018 calendars by Howard Frisk Photography are now available.